Elite Hinge Protector to Achieve Maximum Security - DGS Group Plc. 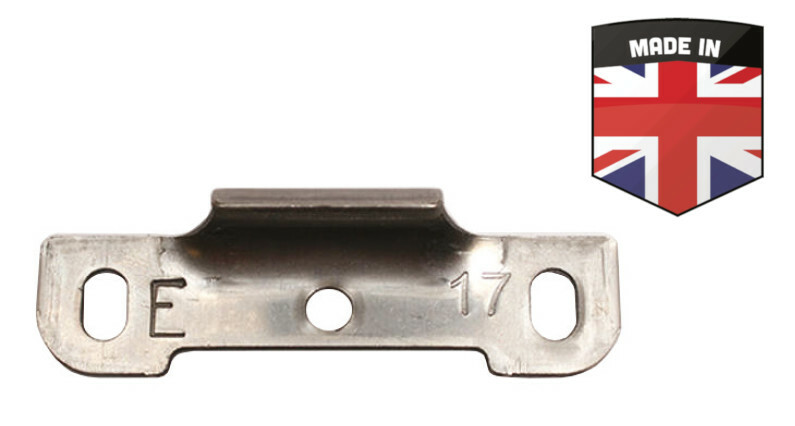 The Elite hinge protectors are used in pairs, one piece on the frame and one on the sash. When the window is closed, the two identical components interlock and restrict the opportunity to jemmy the window open. Use of this product will enhance security and may help you to achieve compliance with BS 7950. To achieve maximum security you should position the hinge protector within 100mm of the friction stay. Manufactured exclusively by DGS in the UK. Strong pressed stainless steel construction. 3 fixing holes for added security. See our range of screws here.